In this Mindful video, Elaine Smookler offers 3 things to consider when asking yourself what particular things bring you happiness. Who doesn’t want to be happier in their life? But what is happiness? In this video from Elaine Smookler, she asks people to notice that sometimes the reason we’re not happy is because we haven’t taken the time to figure out what that means for us. We get so caught up comparing our lives to others that we struggle to answer the simple question: what brings me true happiness? 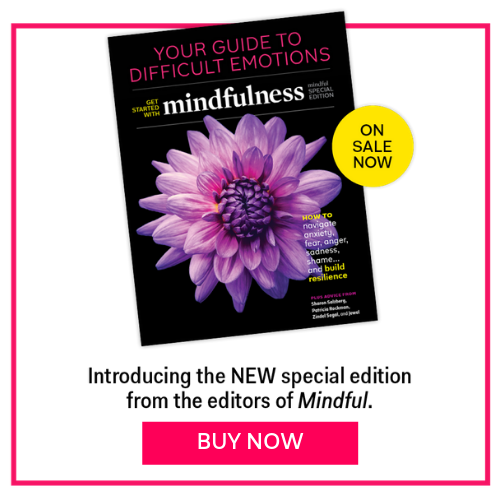 A MINDFUL VIDEO COURSE: Want to learn more about making mindfulness a part of your life? In our new video course “Mindful Presents: Get Started with Mindfulness,” Elaine Smookler will teach you what mindfulness is, what its practical benefits are, and how you can use mindfulness to have a more open and engaging experience with life. We’re offering our online readers a 70% discount if you follow the link here. Is It Selfish to Seek Happiness?